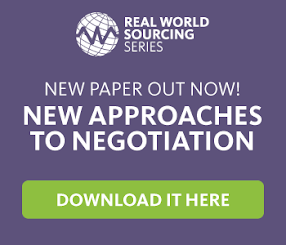 Strategic Sourcing: Transforming Procurement – Myth or Reality...? Firstly the definition of “What is transformation” raised a few interesting points; it was re-iterated that the usual continuous improvement we ‘should’ all be aiming for constantly is absolutely NOT transformation - it’s nowhere near big or fast enough, it’s not even in the foothills. In addition, change – no matter how transformative – is not going to be viewed as transformation unless it has a real impact outside of the procurement function, this needs to be a mountainous journey for all to see, just accept it. Secondly, in assessing when to start a procurement transformation programme, not surprisingly it all shakes down to the sense urgency, the size of the prize and resultant support going to be made available. If however we’re in deep and we really do care, then transformation should hold no fears – the only way from where we are is up. I’ll come back to some actual transformation considerations in a couple of days, maybe with an odd quiz question thrown in for good measure!